A fresh track at the side of the road. Hilly terrain, dense forest and small marshes. A thin layer of newly fallen snow covers the landscape. No wind and perfect snow for tracking. The hunters at their posts are barely visible in their white camouflage. There is anticipation in the air. Anticipation and excitement! What will happen today? What will we see? How will we react when we make contact? Lynx hunting. This is perhaps the most difficult hunt of all. The dogs are subject to very high demands and experienced guides are necessary. Another important factor is good weather conditions; fresh snow is vital for tracking. 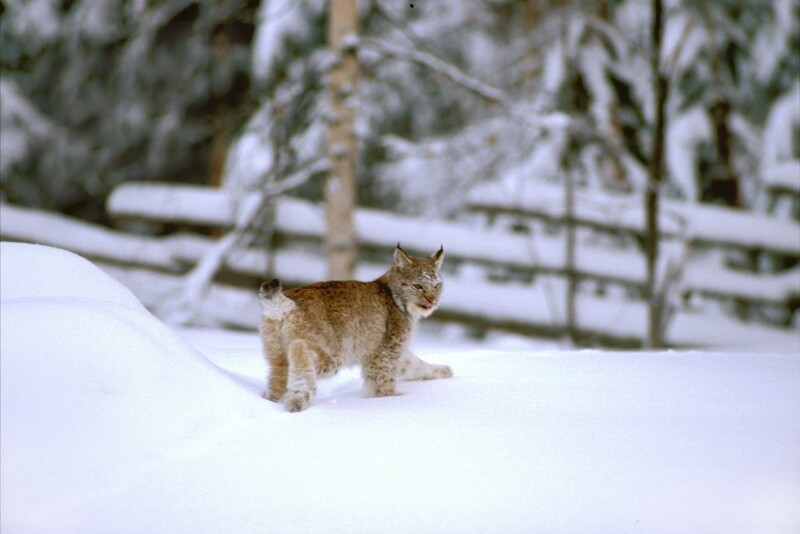 The lynx is a fantastic hunter, sly, strong and full of stamina. This type of hunt is demanding for both dogs and hunters. In optimal conditions this is a thrilling challenge for the body and mind, and something that every hunter should experience.